The modernized TACMS missile includes updated guidance electronics and added capability to defeat area targets. Lockheed Martin’s first modernized Tactical Missile System missile completed a successful first flight test at White Sands Missile Range, N.M. The missile was launched from a High Mobility Artillery Rocket System (HIMARS) launcher at a target area more than 130 kilometers away, precisely hitting the target with a proximity sensor-enabled detonation. All test objectives were achieved. As part of the U.S. Army’s TACMS Service Life Extension Program inventory refurbishment effort, the modernized missile includes updated guidance electronics, and added capability to defeat area targets without leaving behind unexploded ordnance. The missile was produced at the Lockheed Martin Precision Fires Production Center of Excellence in Camden, Arkansas. The TACMS (formerly ATACMS) modernization process disassembles and demilitarizes previous-generation submunition warheads that do not comply with the international Convention on Cluster Munitions, replacing them with new unitary warheads. The modernization process also resets the missile’s 10+ year shelf life. Additionally, the TACMS platform provides flexibility to quickly integrate novel payloads and new capabilities as required by the warfighter. 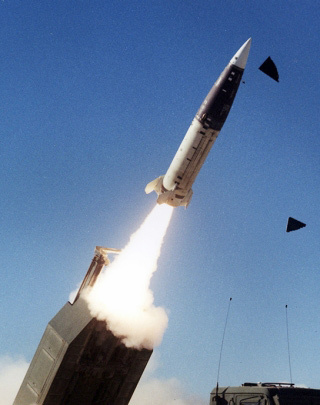 With unsurpassed performance and an unwavering commitment to production excellence, TACMS is the only long-range tactical surface-to-surface missile ever employed by the U.S. Army in combat. TACMS missiles can be fired from the entire family of MLRS launchers, including the lightweight HIMARS.